Our recreational gymnastics program is offered to children of all ages, skill levels, and abilities. While emphasis is placed on developing physical fitness, athleticism, and boosting health, our trained instructors are equally focused on building confidence and teaching skills that can be applied to any sport or athletic endeavor. If your child is just learning how to walk, our popular Toddler Time classes can help them develop gross motor skills with fun games and activities. For ages 3 to 18 years, TKG offers recreation classes that accommodate beginning, intermediate and advance training on all the gymnastics disciplines: floor, vault, rings, uneven and parallel bars, high bar, pommel horse, balance beam and trampoline. We also have a competitive team program for those who want to take their talent to a whole new level. In addition to gymnastics, we offer a summer, winter and spring Day Kamps, a Birthday Party venue, as well as exciting events like our popular Klub Night Out. We've worked hard to create a fun and exciting environment for children to grow and learn, and are honored to have been voted "BEST CHILDREN'S GYM IN LOS ANGELES" by LA HOTLIST five times! With our almost 40,000 square foot new space nearing completion, we have plans to expand our gymnastics program to include dance, martial arts, adult fitness, and a swimming pool. 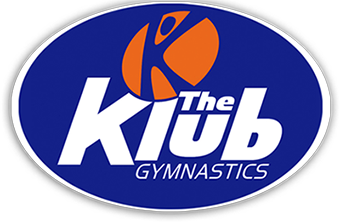 It is an exciting time at The Klub Gymnastics, we hope your family can join us on the adventure!